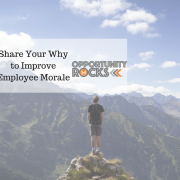 In previous generations, employees were often satisfied doing the same type of work for their entire career. That has changed. 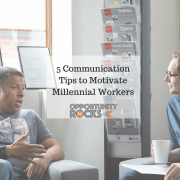 If you are hoping to motivate millennial workers, consider offering them the freedom and the opportunities to explore different projects, positions, and departments. Consider this: Rock stars love a good jam session. It’s not just because they love what they do (although that’s part of it), but rather because a jam session provides the freedom to experiment, to play, and to pick up some new skills in the process. Ever watch a guitar player hop over to the keyboard and a singer settle in behind the drum kit? That’s because they love to expand their horizons. Millennial workers have a similar mindset. You can embrace this and encourage experimentation, or you can see a high turnover rate from bored millennials. How Can You Vary Assignments and Projects? 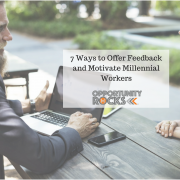 There are many opportunities to not only keep your millennial workers happy at work but also to further the creativity and innovation within your organization. Before aspiring doctors graduate from medical school, they spend several months doing rounds at a hospital. This gives them exposure to multiple areas of medicine and allows them to figure out where their passion and their talents lie. Why don’t we do that more often in business? Sometimes called “Office Rotation,” companies like HSBC, Emerson, and the NFL allow employees to experience different positions, different departments, and occasionally different locations altogether. Employees get training and experience in many different areas, and the companies provide support when it’s time to make the next move. Work isn’t everything. 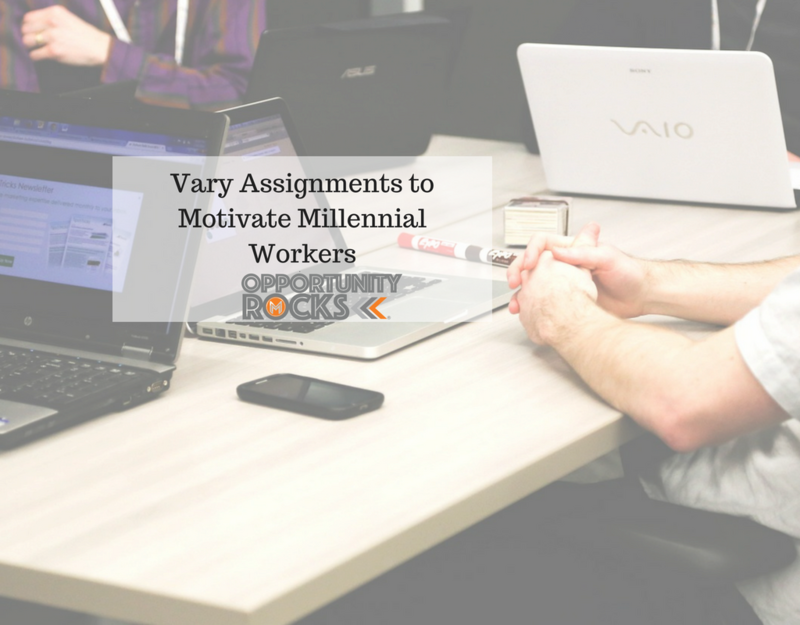 Whether it’s a charitable cause or a side business, millennial employees will benefit from the opportunity to work on non-work projects during working hours. Google is famous for offering up to 20% of work time for side projects. 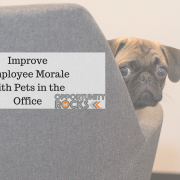 This encourages productivity and innovation, keeps your employees happy, and often times, it yields new products or services for the business. If your departments are separated from one another, employees rarely get to interact or learn what others are doing. 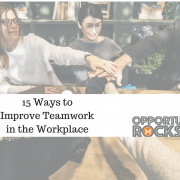 Why not encourage employees to “buddy up” with someone from another department, learn about their roles and responsibilities, and perhaps collaborate to make improvements for the company. While your departments may do very different things, ultimately, you are all working towards the same goal. Millennial workers will appreciate the opportunity to expand their horizons at work. Marvelless Mark® believes that when you give your millennial employees the ability to work on other projects within the department, outside of the department, or even outside of the company, they will be more productive, morale will be higher, and they will stay with your company for longer. And, you’ll see the rockstar results you’re looking for. Mark Kamp® aka Marvelless Mark® works with organizations who want their teams to achieve immediate rock star results. 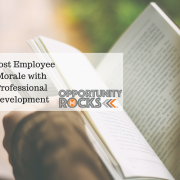 A Keynote Speaker/Entertainer/Author, Husband, Father, and child of God, his primary message, “Opportunity Rocks®” gives attendees a fresh new perspective on Sales, Marketing, and Employee Performance. Fun and engaging, Mark combines the success secrets of your favorite rock stars with just the right amount of entertainment to transform your employees into business rockstars. 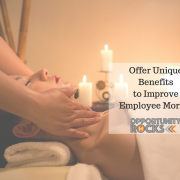 Learn more at www.OpportunityRocks.net. 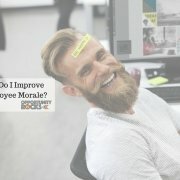 How Do I Improve Employee Morale? SUSCRIBE NOW & GET MY FREE CHAPTER!